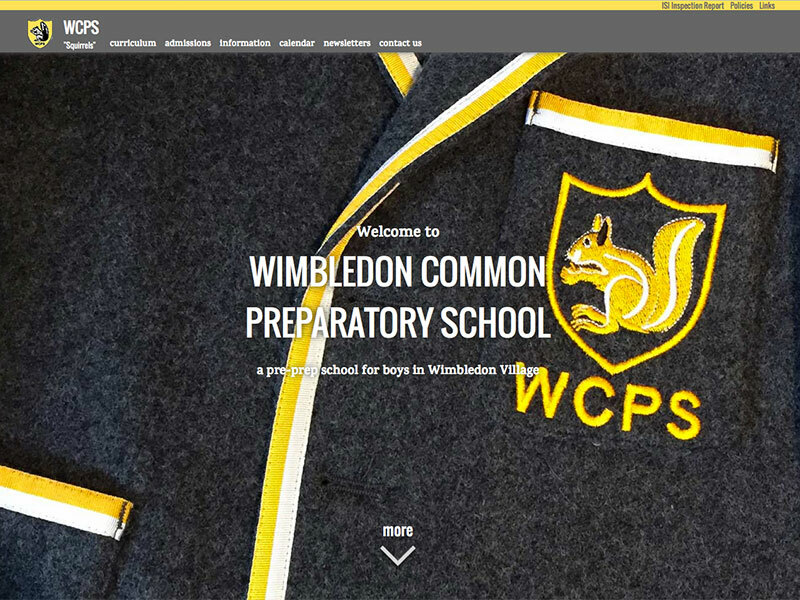 Wimbledon Common Preparatory School is a pre-prep school for boys in Wimbledon Village. As ever with the my work the WCPS site is optimised for mobile, tablet and desktop devices. Moving the School's prospectus online, reducing the number of printed copies of the prospectus that needed to be sent out. Moving the School's newsletters online. The School has moved away from its printed termly newsletter and now has its latest and previous newsletters available to read online. A more sophisticated School calendar. Calendar dates are now categorised by type of event (term dates, fixtures, etc). This allows certain categories of calendar date to be selectively displayed - eg School Open Days on the Open Day page or a list of term dates on the front page of the site. Possibly the thing that has made me happiest this year.